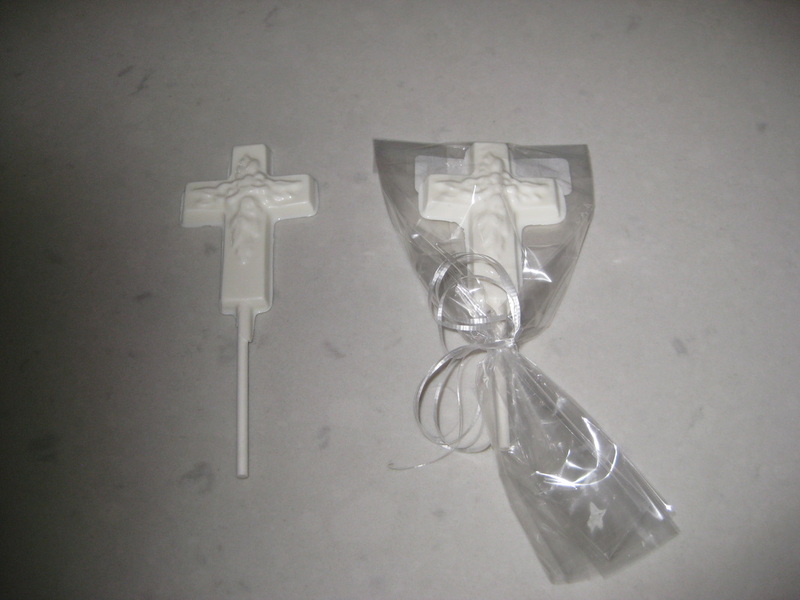 We have many chocolate items. If you do not see it here, please call 973-543-2145 and we will see if we can make it for you. We use dark chocolate to make our favors. We do not make chocolate during July and August. We are located in Mendham, NJ which is 6 miles west of Morristown, NJ. The following is just a sample of what we have. If you would like a price please call us at 973-543-2145 or use the contact form. We will be glad to answer any questions. 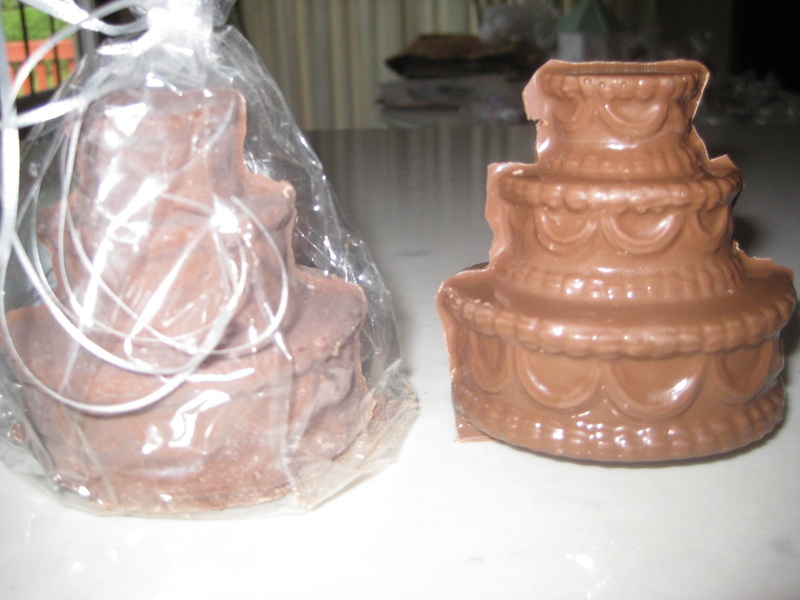 Solid dark chocolate champagne bottle in a glass container with bride & groom heart. 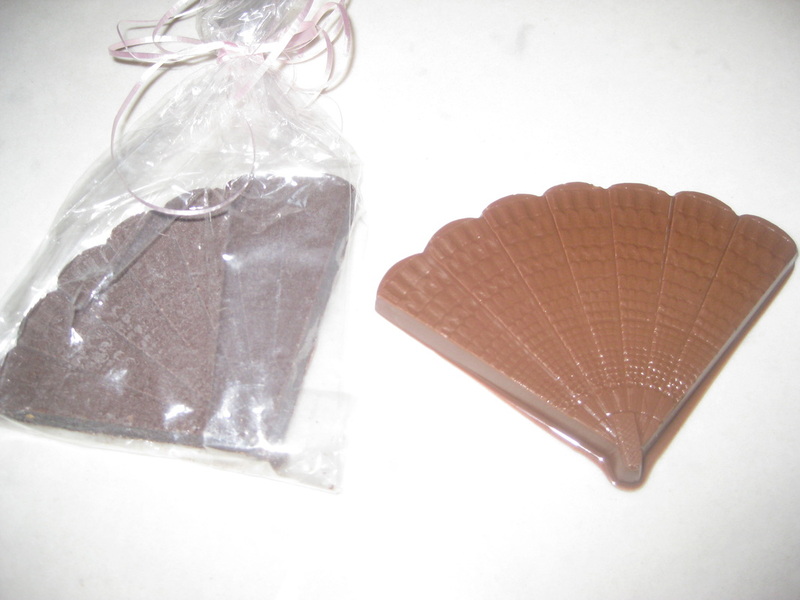 Dark chocolate flat back umbrella pop, Great for a wedding shower. Sold in a group of 4. Solid dark chocolate pocketbooks, flat back. Sold in a group of 4. Dark chocolate champagne bottle, flat back. Dark chocolate wedding cake pop, $1. 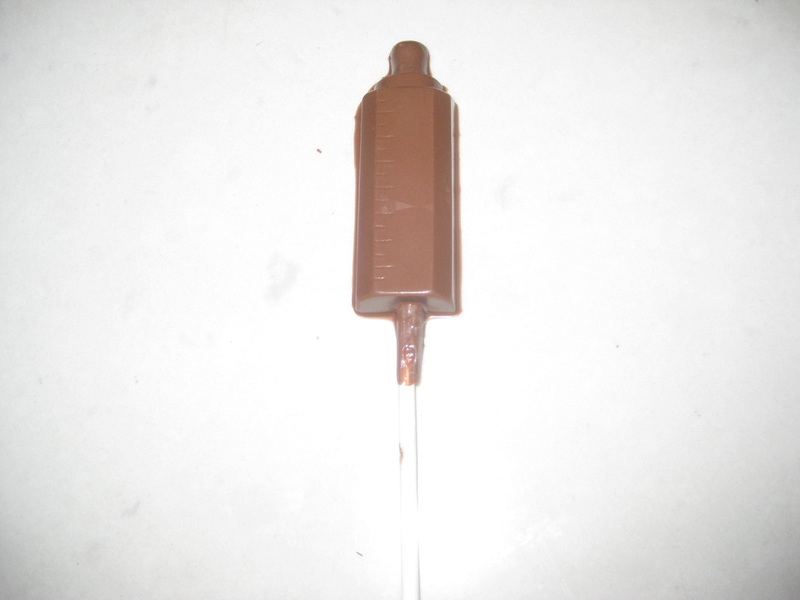 Small dark chocolate umbrella pop. 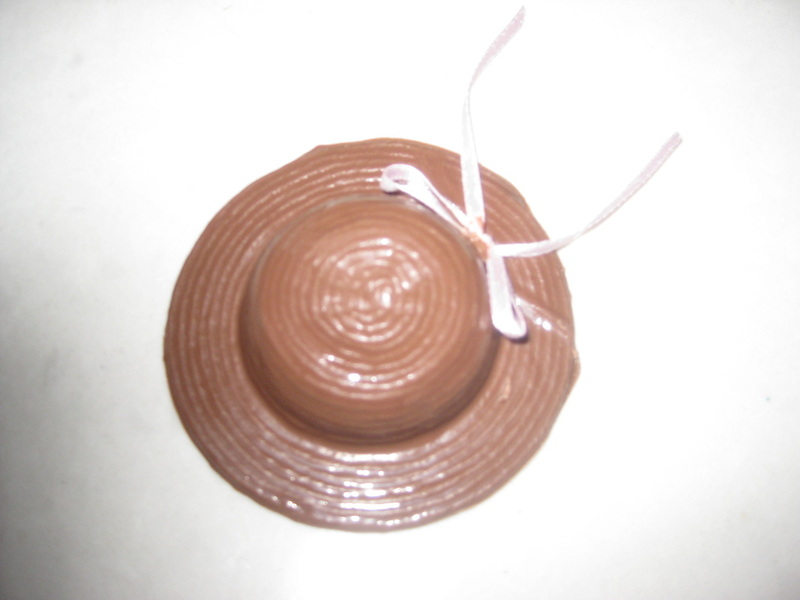 Comes with choice of ribbon & flower. Dark chocolate golf ball, flat back. 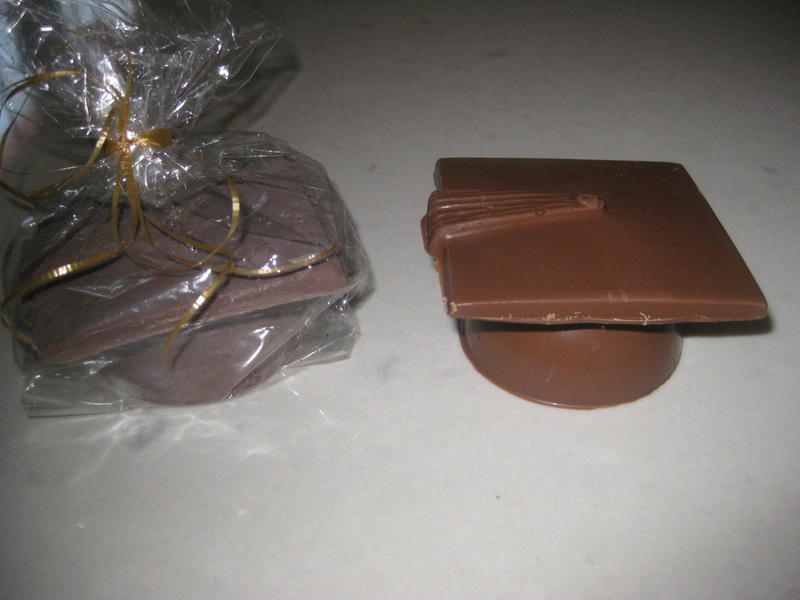 Dark chocolate graduation hat & diploma pop. Dark chocolate Turkey pops priced. Great for Thanksgiving. It also can be used as a place card at your Thanksgiving table. Just take a little piece of paper and write a name on it and tape it to the pop. Try our dark chocolate houses with M & Ms on top. A great centerpiece or hostess gift. 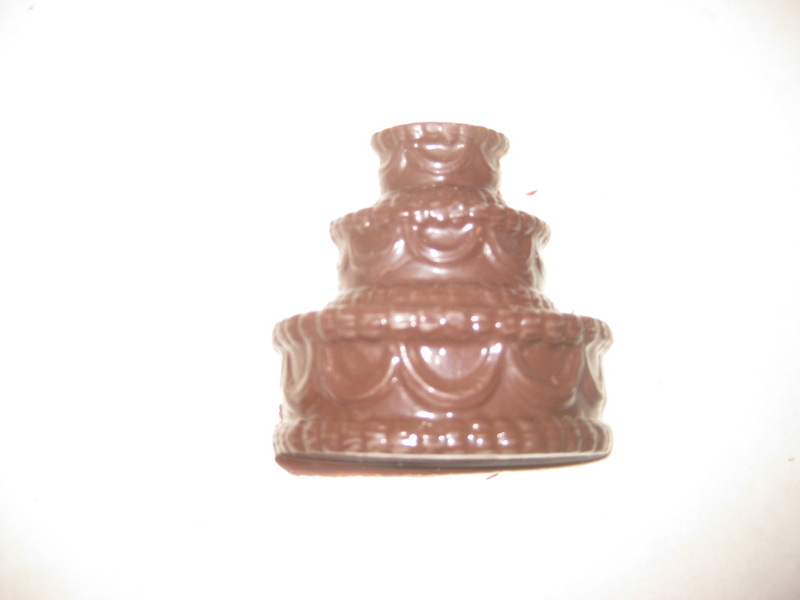 Solid Dark chocolate Wedding cake,flat back each. Hate Gingerbread? 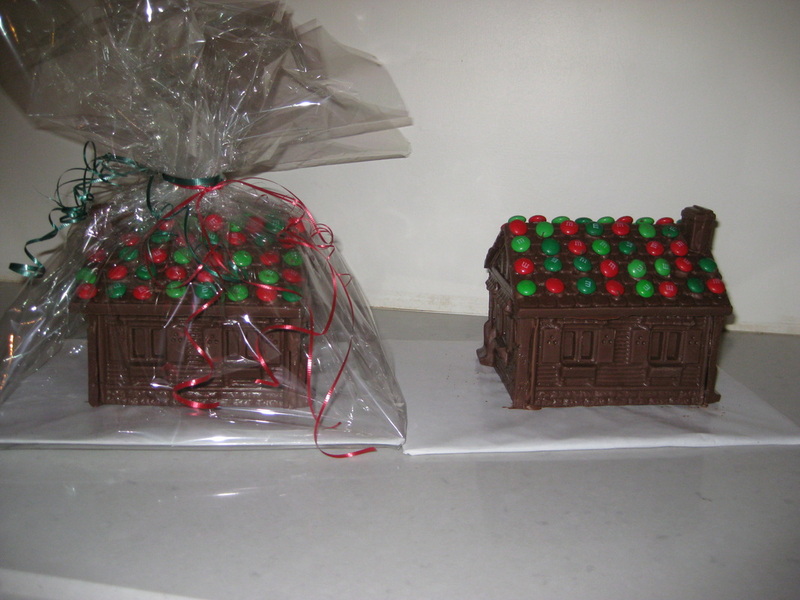 Try our Dark Chocolate Christmas/Holiday Houses. Realtors need a gift for the person you sold a house to? 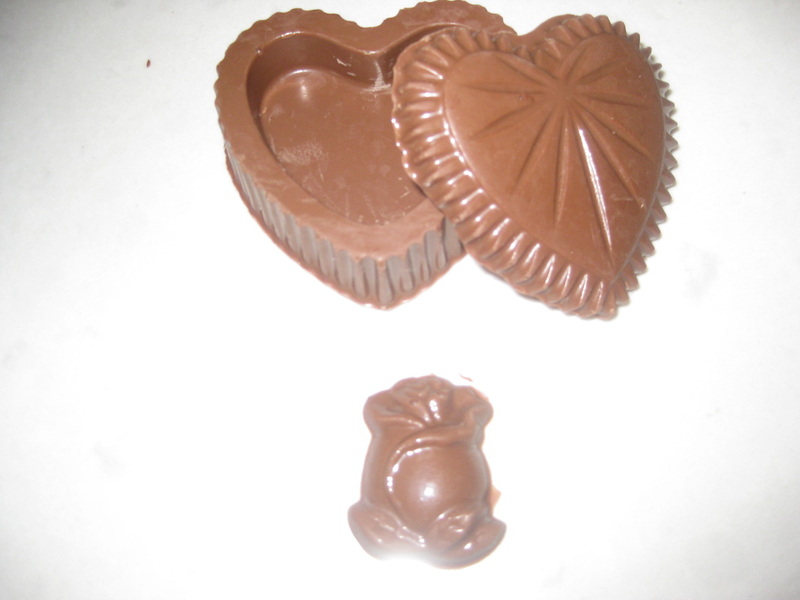 Try our dark chocolate houses. We also can add M&Ms on top.